This is the bomb! This was the war cry of the first eater of this precious snack of potato and pork. This is the quintessential tapa of the Barceloneta neighborhood, a battered dough bathed in hot sauce capable of indoctrinating even the most rogue. Some uncertain origins revolve around it; some say that it was the marsars of Barceloneta who were the creators of this invention, others trace their first steps inside the kitchen of the miraculous Cova Fumada or in the stoves of La Bombeta. Whatever it was, and without forgetting these two gastronomic sanctuaries, here we leave you another few places to get lost inside a bomb. Bolero Bar, that’s the name of Enric y Lito’s new store. These two gastronomic titans have carried out a washing of face to the old L ‘Alegría of the Place of the Concord. 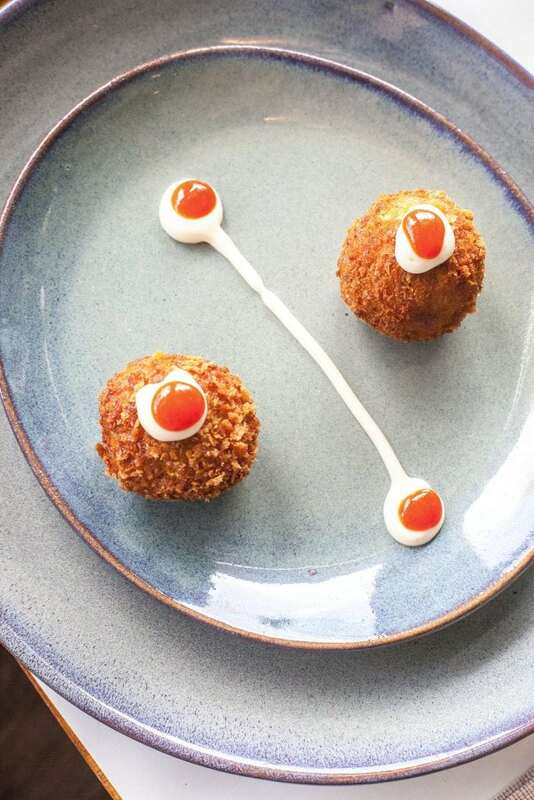 A converted tapas bar where Guillermo is the culinary artist in charge of shaping his menu with an endless amount of snacks designed to be shared. But we’ve come to talk about bombs and in Bolero they do it their way. 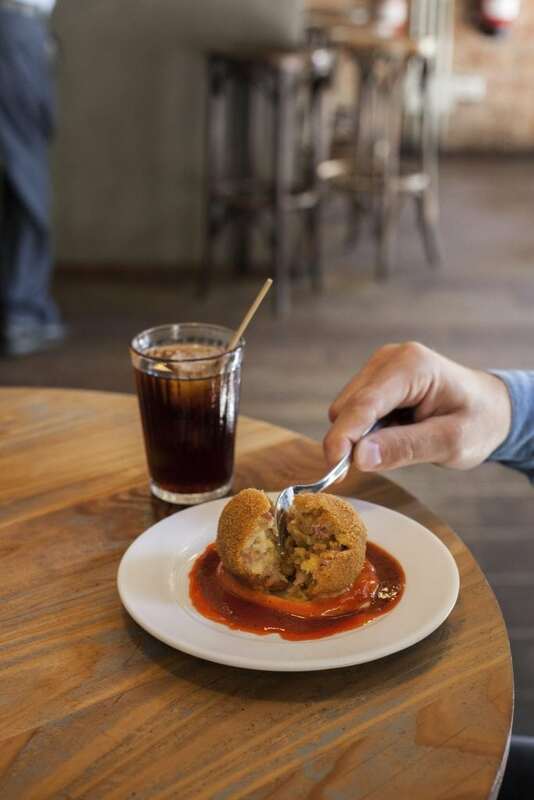 A hybrid between bombas and meatball stuffed with pork and beef with a touch of sobrasada that melts in the mouth. The secret is in his homemade spicy tomato sauce that gives him that playful point that we like so much. There is no day that we come and do not repeat our order. 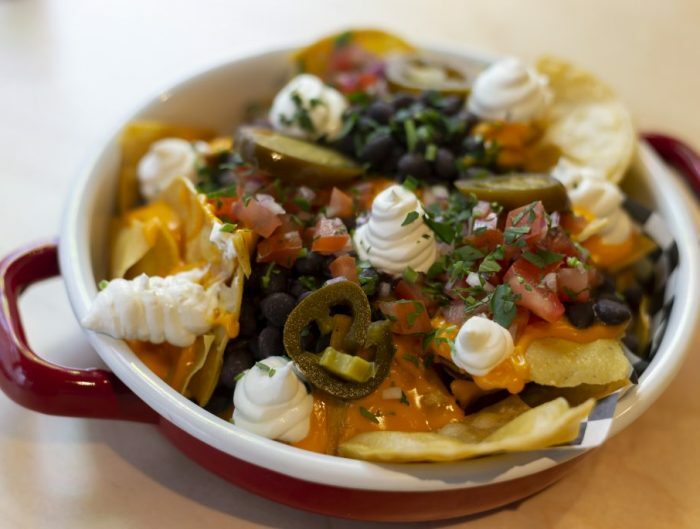 If you find yourself in the neighborhood, Bolero Bar is a must stop. Summer is just around the corner, and with the “caloret” what we most want is to sit in the sun, drink a cold beer and taste a good paella while we enjoy looking at the infinite horizon that gives us a few of the appetizing sea. Undoubtedly, one of the best options is La Barraca, a restaurant specializing in rice and fish that belongs to the Woki Tribe. 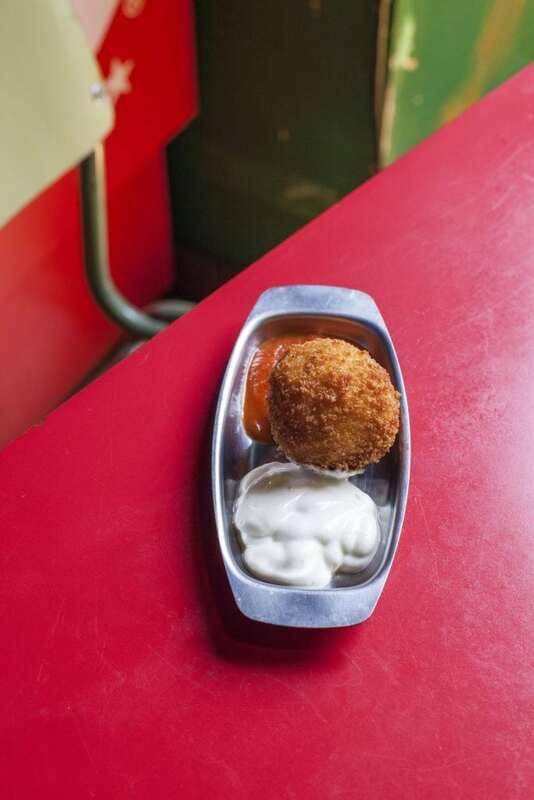 One of its best kept secrets is its homemade bombs, the typical dish that maiars used to eat at sea. Stuffed with minced meat, bolognese sauce and potato, covered with fried bread, and served with a touch of spicy brava sauce and aioli. A true delicacy worthy of any captain. A gastronomic temple like those of before. This family winery with high ceilings, stone walls and a small terrace is the ideal place to have an appetizer. 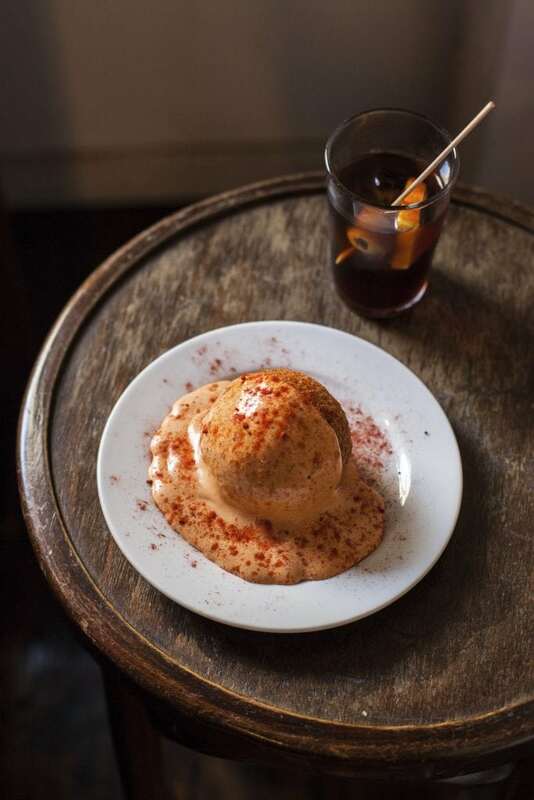 Full of gastronomic options and a wide selection of vermouths, Senyor Vermut is always crowded with a disparate clientele that brings a homey atmosphere to this place with its own personality. 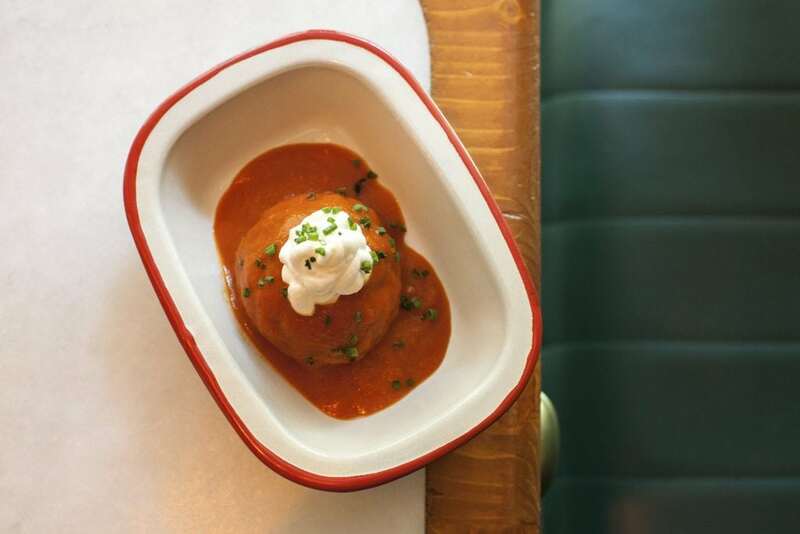 All his dishes deserve a special remark – we already tried his patatas bravas, his Russian salad and now it is our turn to try his bombas. And what a bomb! Without offending his braves, this ball of pork and beef is undoubtedly the standard of a cook who was once fascinated by such an irresistible tapa; to the point of adapting it and making it his own. You can taste a bit of history and a lot of pleasure in a bite. There is a bit of spice so ask for a vermouth to settle your tastebuds. 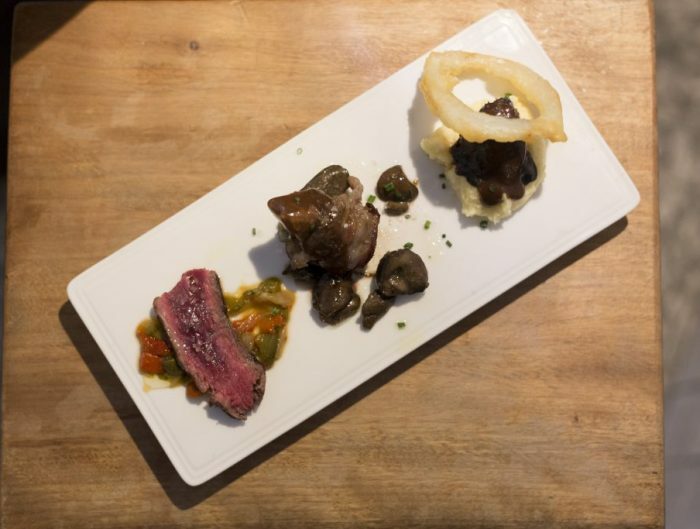 A traditional vermouth with modern flair that offers a wide variety of tapas in an old cellar in the neighborhood of Sant Gervasi. This small family bar has become the meeting place for pedestrians and neighbors where you can enjoy a good vermouth and some snacks. Since its reopening, Bodega Balmes has done nothing but surprise us. 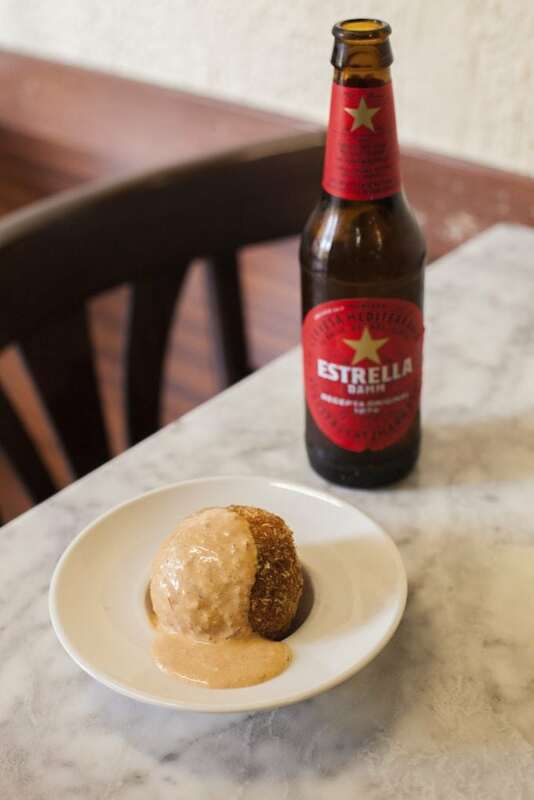 We thought we already fell in love with his version of the Russian salad; but now he makes us scream with pleasure with his fantastic bombas. 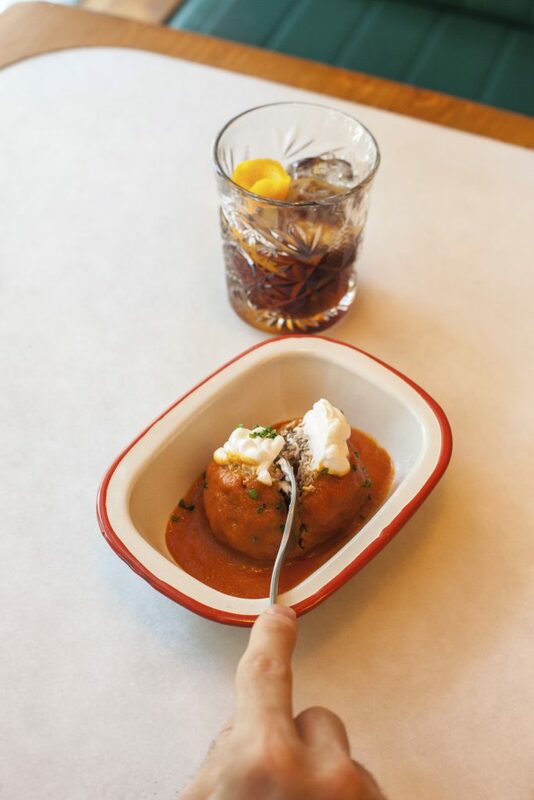 Open it in half, dip in its brava sauce and reduce the spice with a shot of vermouth – it is a pleasure impossible to explain. Go and try it! This winery located north of the Sants neighborhood, famous for its sandwiches that are recreated day after day in its cozy kitchen. A winemaker’s legacy of more than 50 years that offers all kinds of tapas and good wine. A classic in our list of favorites, in this small winery you will meet Marc; master chef in charge of giving life to this traditional kitchen that you cannot leave without trying his real bombas. Kneaded by himself, served over a sauce mixed with aioli and hot sauce that leaves you with a spicy taste that you will end up addicted to. Traditional mashed potato, beef jerky and breaded panco, so is your piece of bombas. We are unconditional fans of this Catalan tavern that never loses the spark. The Santet – this small tavern full of history raises the curtain every day in front of the Cemetery of Poblenou. A tapas bar, sandwiches and dishes where each slice is able to indoctrinate even the most impious. The Santet, a rogue and daring place where the kitchen is the same as three years ago; it offers simplicity, vermouth, and fun. That’s what David wanted, owner of El Santet; and on those beliefs the foundations of what is now Poblenou’s most excellent local restaurant was created. 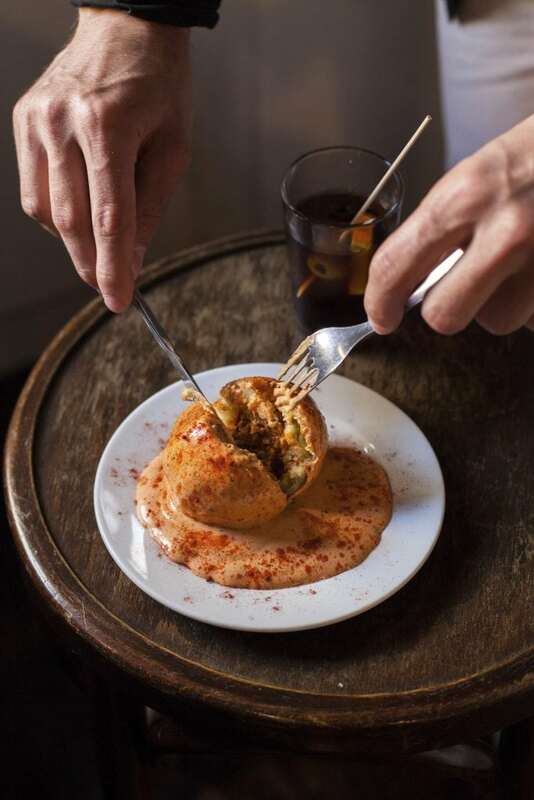 You can not escape from here without trying the Poblenou pump with homemade hot sauce. 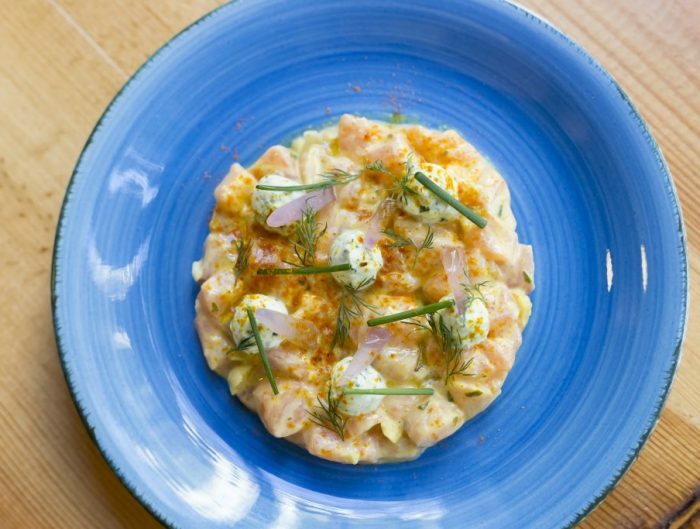 An authentic gastronomic wonder that melts in our mouths. Without a doubt our favorite thing every Sunday to accompany our vermouth in the sun on one of the best terraces in Barcelona.